Firm advocates of a peer-led approach, St Giles Trust was initially founded in 1962 to alleviate destitution in south London and help those who could not receive state assistance. Having extended their work to local prisons in the mid-1990s, in 2001 they began an innovative and ground-breaking programme which involves training serving prisoners to become qualified case workers who can offer advice and guidance to fellow prisoners. This work has now extended beyond working in criminal justice to address wider issues around disadvantage and social exclusion. The Peer Advisor Programme has now been running for a number of years, offering disadvantaged people the opportunity to become professionally trained and progress into employment whilst also helping others to move their lives forward. 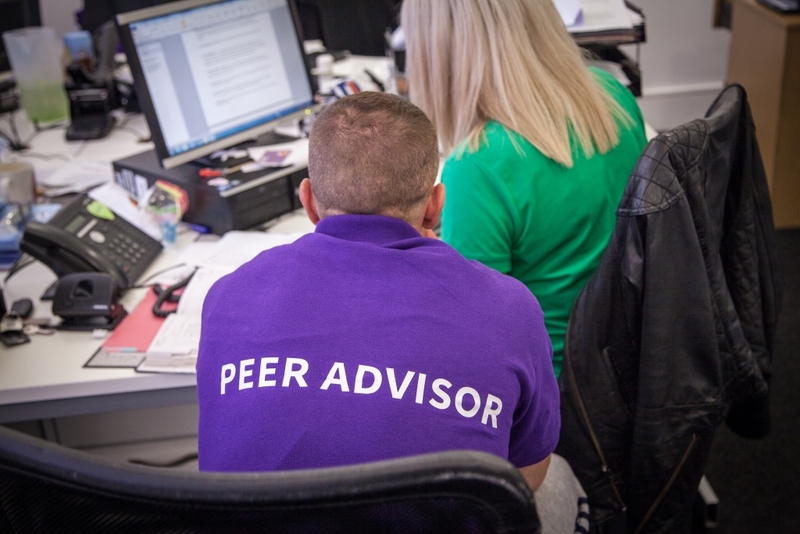 As part of the programme, participants receive training towards the Level 3 Advice and Guidance qualification as well as regular monitoring and supervision, one-to-one sessions with specialists in disclosure and involvement in the Peer Advisor User Group, amongst other things. One of the people supported through the Peer Advisor Programme is Lee. He had served seven sentences over 20 years and decided to make a change whilst serving his last 4-year sentence. He took part in the community-based Peer Advisor course offered at the Cardiff office and, after completion, successfully applied for a job as a Through The Gates Caseworker. Since then he has progressed to Caseworker on the Gamechangers Team, providing support to disadvantaged families. He explains how “all the negativity of 20 years I've now turned into one big positive" and the particular peer-focused approach of St Giles Trust means that “guys I'm picking up from prison can relate to me and they know exactly where I'm coming from". At present, around one-third of St Giles Trust's staff are former service users. The help provided is tailored to the needs of each individual and is centred around 4 key areas of need: somewhere to live, something to live for, support from someone who has been there and positive relationships. This means that a thoroughly comprehensive package of support is provided. What's more, the support provided is long-term and seeks to address the reasons behind the individual's behaviour, recognising that complex problems are not suited to quick-fix solutions. St Giles Trust also conducts specialist work with foreign national prisoners and women in prison, two demographics which are particularly vulnerable to falling through the gaps. The Peer Advisor Programme has been extended to prisons with foreign national prisoners to provide specialist support to address the specific issues this group encounter during their time in custody such as high levels of trauma and isolation due to unfamiliarity and language difficulties. Additionally, their Footsteps Project helps women prison leavers who have mental health issues and complex needs and aims to provide stability to help them resettle in the community. Like the Peer Advisor Programme, the nature of the support is driven by the needs of the client and offers 'meet at gate' assistance to provide women with the practical support they need on their first day out as well as helping them in the longer term to address underlying issues. To support or simply find out more about St Giles Trust, click here.